Moisturizing Dead Sea Soap, especially rich in Dead Sea minerals and glycerin. Cleanses the skin thoroughly, leaving it feeling moisturized, soft and revitalized. Enriched with soothing aloe vera and chamomile essences. 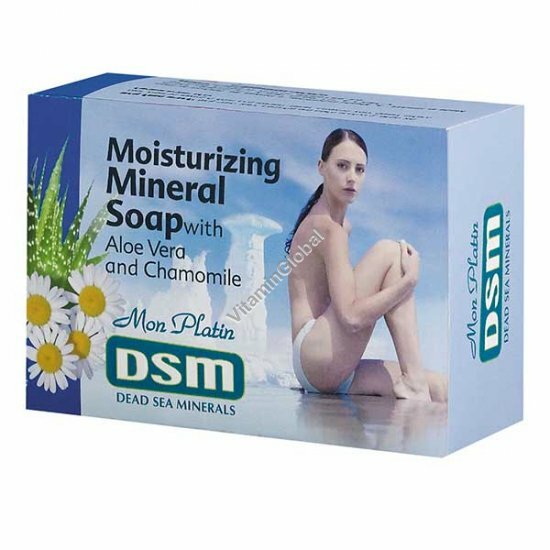 Directions: Apply daily Moisturizing Dead Sea Soap to face or body and rinse.